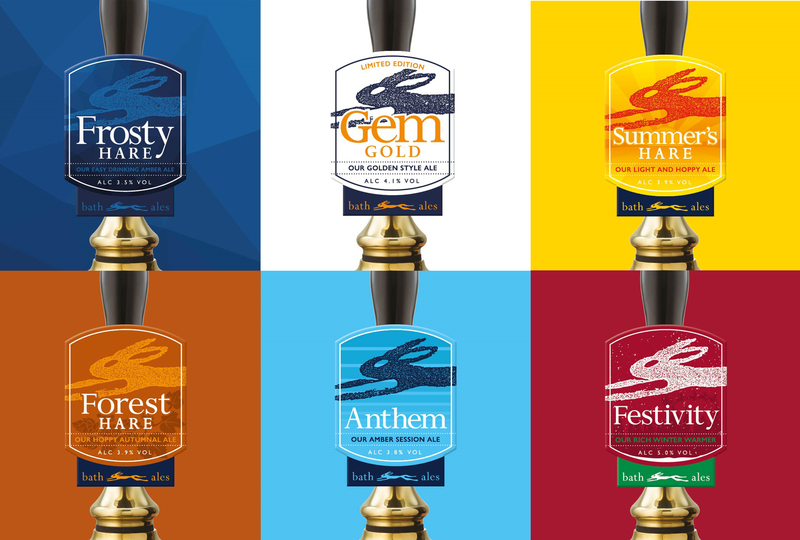 Introducing Bath Ales’ range of seasonal brews; a series of new – and familiar favourites. The beers will be available in pubs across the south west. Frosty Hare (3.5% abv) – available from January – is a warming pale ale that’s amber in colour with a rich, caramel taste and a hint of spice. Maris Otter and Red Crystal malts create a solid base, giving this beer a great depth of flavour – and at a low abv. Anthem (3.8% abv) returns to our seasonal calendar in March due to its popularity on the pumps in 2018. This sessionable, easy drinking amber ale has initial peach and citrus flavours which blossom on the tongue to await a toffee finish with a grapefruit bitterness. Pair with classic pub favourites: crisps, peanuts and pork scratchings. The golden version of our flagship ale Gem arrives for t he summer months in the form of Gem Gold (4.4% abv). This new limited addition beer retains Gem’s malty flavours but is balanced with classic English and Centennial hops – providing a citrus finish that balances the natural toffee malt flavours, for a tasty but drinkable beer. Back by popular demand for 2019, Summer’s Hare (3.9%) is full, malty with a fabulously fruity bitterness – the perfect drinking partner for hazy summer days. Pair with ploughman’s, a chunk of quiche or cheese. When the leaves start to fall and there’s a change in the air, opt for the copper red liquid of Forest Hare (3.9% abv). With heavy hints of blackcurrant and blackberry it’s a great beer to enjoy on crisp autumnal nights. Pair with a hearty pie and lashings of gravy to ward off the chill of the changing season. Finally, only brewed in the darker months, is our wonderfully complex and traditional Christmas Porter, Festivity (5.0% abv). Returning as a popular favourite, Festivity is all about bringing warmth to long nights. The beer is full of sweet vanilla, liquorice and liqueur flavours which complement its burnt toast and coffee aromas. If you’re interested in our seasonal beers, keep an eye out on our monthly newsletters (sign up here) to find out when they’ll be on the pumps at a pub near you.